TREASON AT THE DEPARTMENT OF DEFENSE (DOD)? For . . . a high-ranking government official, . . . Deputy Secretary England. . . to participate in an event sponsored by ISNA is alarming to say the least, but the series of events that followed the speech were far worse and will have much greater implications for the future. England was named Deputy Secretary in May of 2005. Prior to that, he had held two terms as Secretary of the Navy. Serving on England’s staff, while he was with the Navy, was an individual by the name of Hesham Islam. Islam, an Egyptian-born former Naval officer (Retired Commander) and former Merchant Marine for Saddam Hussein’s Iraq, while at Naval Postgraduate School, wrote a thesis exhibiting what has been described as anti-Israel and anti-Semitic viewpoints. 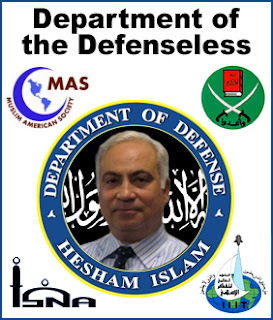 Islam has since moved on to join Deputy Secretary England’s DOD staff as his Special Assistant for International Affairs. It has been reported that it was Commander Islam that suggested England address ISNA’s annual conference. And of course, England going to ISNA was an open invitation for ISNA to return the favor by coming to DOD, which the group took advantage of. Friends, fellow Americans, people of faith - Good afternoon! Thank you to Dr. Louay Safi for the kind introduction, and a special thank you to Sheikh Muhammad Nur Abdulla, and Dr. Ingrid Mattson, for your leadership and for the invitation to join you at this Islamic Society of North America conference. Thank you also for the pleasant lunch, and the opportunity to dialog with the Society’s leadership. It was most beneficial to share ideas and values. It is a profound honor for me to be here with you today, representing all the men and women in the United States military, and all the civilians who serve America in the Department of Defense and throughout the US Government. ISNA was established by the Muslim Brotherhood (MB)-associated Muslim Students Association (MSA) in 1981, helped into existence by a group of MSA alumni and a teaching assistant at North Carolina State University (NCSU) named Sami Al-Arian, who only two years prior co-founded Palestinian Islamic Jihad (PIJ) in Egypt. ISNA was incorporated using the same physical address as the MSA, which was also the address used to incorporate the American Hamas financing wing, the Holy Land Foundation for Relief and Development (HLF). No other people have had more experience with Moslems than Hindu India. Ethnic riots are wrong, no matter what the provocation. "With Zbigniew Brzezinski as his national security adviser, it was Jimmy Carter who facilitated the return of Ayatollah Khomeini to Iran. The Carter-Brzezinski axis is very much responsible for the Islamic revolution—the most dangerous revolution that has occurred in human history, a revolution that threatens the existence of every nation-state." Why talk about Obama at an anti-jihad site such as this? Because we really don't know the essence of this man. We know him as a loud-mouthed, preacher-like speaker--an orator--"full of sound and fury, signifying nothing." As Obama gets closer to the Presidency of the United states--dangerously close--we anti-jihadists owe it to ourselves to examine what effects an Obama Presidency would have on our country versus the jihadist that are dead set on taking it over. What America truly needs is not a sycophantic public following a cult leader on a path of foolishness. America as been fortunate in avoiding political cults of personality. The closest that we have come to it may have been the 4 terms that Franklin Roosevelt was elected to. We should note also that FDR was a special case. 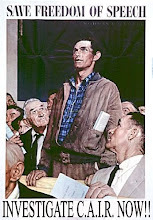 He was first elected during the Great Depression and continued into World War II. This form of crisis situation has been unusual, and while one might disagree with the way that President Roosevelt handled some aspects of them, he certainly understood the gravity of the situation and the need for America to take action to preserve itself. This is exactly the opposite of what we see with current Democrat presidential front-runner, Barack Obama. Simply stated, and as a significant number of critics, both liberal and conservative have pointed out, Senator Obama is an empty suit; a candidate who talks in endless platitudes, but says nothing of substance, except that he wants to enact a myriad of tax and spend programs at home, while ignoring the true nature of its enemies abroad and emasculating the military. Perhaps he believes that the foreign dictators are foolish enough to fall for his charm. If elected, he will quickly learn that they will be more than willing to say anything, and then do exactly the opposite if it suits their interest at the time. As Neville Chamberlain sold out Europe to Nazi Germany, Senator Obama is willing to sell out the United States anyone and everyone who has an axe to grind and is willing to say the right things in public, regardless of their true intentions. Sean Hannity has talked a lot about two focus groups that were asked if they could identify any of Obama’s accomplishments. Both came up with essentially nothing, which speaks volumes; the man really has done nothing, except promote his own political career as rapidly as can. Now, the fact that he can speak charismatically is really all that he is running on. People like what he says, regardless of whether it has any substance. I remember having a similar reaction to Jimmy Carter many years ago. I was a teenager when I told my, now departed, Mother that he said a lot of things that sounded nice, but there was nothing that I could identify specifically as practical or realistic. Obama is now doing the same thing. He talks about “hope” but it is a blind hope; faith that he has all the answers and that electing him to office will somehow solve all of America ’s problems. To make matters worse, his campaign is taking on a messianic attitude. This may well speak of an even greater underlying danger. Michael Medved recently asked of his audience why people are supporting this candidate. He received all of the usual empty answers about hope, unity and the like. In the end, there really was nothing of substance that anyone could identify. I have an answer; it is not one I like, but I believe that it is the truth; that Senator Obama is the candidate of the intellectually bankrupt. It is no wonder to me that so many young people are swooning over this charlatan. He is all show and no substance, like so much of modern entertainment. He is the MTV candidate. He is the candidate of people who love special effects and don't care about the plot. Politically they are oblivious to the consequences of electing someone who is as gullible as they are. He is their drug that will make all problems go away, but like with a drug, the problems don’t really go away and after effects are terrible. 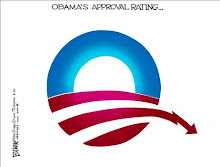 Enacting the Obama domestic policies would result in a quick trip to national bankruptcy. His foreign policies would create a weak, vacillating nation that will not defend itself because talking to an implacable enemy is always better than eliminating him. He has no realistic method for dealing with our national energy needs. In short, he is running on hot air, and despite his contentions to the contrary, empty words. He does not have the depth to create words of real substance and so he must rely on others to do his thinking for him. Anyone who is willing to blindly trust an inexperienced, charismatic figure in our present situation is operating off of emotion, rather than intelligence and rational thought. This is precisely what a charismatic leader wants. It was the same with the people who followed the religious cult figures during the 1970’s. In the worst example, they let Rev. Jim Jones do their thinking and ended up dead from cyanide laced Kool-aid. Fortunately, the damage Jim Jones caused was limited to a relatively small number of people. Electing a President of the United States has far reaching consequences, and can make the difference between a nation that survives or dies. Barack Obama is counting on a non-thinking, poorly educated public to sweep him into office. He is counting on people having decided that there is no longer any real threat from Islamo-fascists. He is also counting on no one understanding that a high tax, big government; super-regulatory state is a recipe for economic disaster. It seems that the vast number of his followers fit this model to a T. They don’t care about anything except the nebulous mantras of “hope” and unspecified “change.” As Dennis Prager likes to point out, change doesn’t mean anything unless it states what you are going to change from, how you are going to change it, and what you expect the end result to be. No one I’ve heard from seems to know exactly what kind of change is proposed or expected, except that he will magically unify the nation and make our challenges disappear. Change for change’s sake appears to be the fashion this year. Real, specific, identifiable changes, calculated to preserve American existence for the future are not high on any candidate’s list, unless you believe that John McCain will suddenly reach in a totally new direction and allow Michael Savage to formulate his policy direction in the same manner that he allowed Ted Kennedy to do. What America truly needs is not a sycophantic public following a cult leader on a path of foolishness. What they need is to believe in themselves; to believe that they can lead themselves and take control of their own lives. They need to educate themselves to take charge of their own futures and avoid the empty promises of political con artists of any and all stripes. They need to be able to separate the true statesmen from those offering platitudes in the interest of self aggrandizement. And, if Americans need a messianic figure, then let it be the one they find in their church, rather than a self appointed demagogue who offers nothing more than smoke and mirrors. Steven D. Laib is a semi-retired attorney living in Cypress , Texas , just northwest of Houston . He is a member of the California State Bar, and United States Supreme Court Bar. SHOULD OBAMA'S LOYALTY BE QUESTIONED? No matter that many have died for what that flag symbolizes. But this is going to be a time for "Change." No more such outmoded passions as patriotism. It's going to be a new world. Should you--can you--trust this man? "* And here is the definition of jihad by the eminent Islamic scholar Sayyeed Abdul A’la Maududi*"
"In reality Islam is a revolutionary ideology and programme which seeks to alter the social order of the whole world and rebuild it in conformity with its own tenets and ideals. 'Muslim' is the title of that International Revolutionary Party organized by Islam to carry into effect its revolutionary programme. And 'Jihad' refers to that revolutionary struggle and utmost exertion which the Islamic Party brings into play to achieve this objective." "Islam wishes to destroy all States and Governments anywhere on the face of the earth which are opposed to the ideology and programme of Islam regardless of the country or the Nation which rules it. The purpose of Islam is to set up a State on the basis of its own ideology and programme, regardless of which Nation assumes the role of the standard bearer of Islam or the rule of which nation is undermined in the process of the establishment of an ideological Islamic State." "No one has the right to become a self-appointed ruler of men and issue orders and prohibitions on his own volition and authority. To acknowledge the personal authority of a human being as the source of commands and prohibitions is tantamount to admitting him as the sharer in the Powers and Autority of God. And this is the root of all evils in the universe." "Islam is not merely a religious creed or compound name for a few forms of worship, but a comprehensive system which envisages to annihilate all tyrannical and evil systems in the world and enforces its own programme of reform which it deems best for the well-being of mankind." PUZZLED BY WHAT'S GOING ON IN WASHINGTON? "Governments won't do the things you want them to do until there are enough people like you forcing them to do it openly." IN GOVERNMENT, MOST ARE IN IT FOR THE MONEY, AND THE CREATURE COMFORTS IT WILL BUY.
. . . men who have power through riches, intrigue, or office will administer the State at will, and ultimately to their private advantage. "Thoughts on Man's Purpose in Life"
The United States of today has nobody to save it from the consequences of appeasing the Moslems. The real problem facing the United States and Western democracy is not how the Moslems will respond to a policy hostile to their interests but whether the West still has the moral strength to adopt any policy causing its power-wielders temporary financial losses. Curbing their greed is a prerequisite for maintaining US superpower status and for success in the inevitable conflict with Islam. Will the ideals of democracy prove too weak to overcome cupidity? [Does] the West still has the moral strength to adopt any policy causing its power-wielders temporary financial losses? We need a campaign that ruthlessly inflicts the pain of war so intensely that the jihadists renounce their cause as hopeless and fear to take up arms against us. tgusa, your entire post hit home. While islamists are the real enemy they would not do squat had it not been for the sellout traitors in office. Can one imagine increasing students visa to saudi wahhabbis after 9/11? Yet that is exactly what dubya did. To borrow your phrase: Traitorous Rat! To win this war, [Bush] needs to clean out the Augean stables at his intelligence services and put as many as possible of the Arab-American agents and potential agents for the enemy under lock and key. Some new blood at the State Department not contaminated by longstanding yet outworn policies that can still provide a share of Moslem oil wealth for some multinational corporations but no longer help the US economy and have begun to endanger America’s security would also help. And then - when he is ready – the Moslem terrorists and the states aiding them must be hit, simultaneously or one after the other, but so hard that their confidence in their ability to destroy or seriously harm the United States and its allies is utterly broken. Don’t confuse kindness with stupidity. We as westerners try to get along. Now we have allowed an alien culture to infiltrate our world. They don’t want to live in it they want to destroy it. So what does that make these islamopoligists in the west? Traitorous rats who would not even stand up for our women and children. They aren’t selling me out, no one could do that, I’m not sellable. Can we really call these leaders Men? I don’t think so, at least not the image of Men that I have. Never include me and millions of others in that group, my ancestors fought against tyranny and won, mark my words we will do it again. Dangerous Group? President Bush met with Muslim-American representatives on Sept. 17, 2001. Second from right is Nihad Awad of CAIR, which Sen. Boxer lately decided may not be a savory group. Yes, first with Jihad news most of the time! Sept 17, 2001 -- isn't that six days after Sept 11? 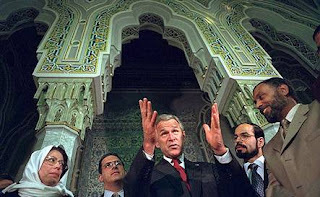 Isn't that bush meeting according to the caption, Nihad Awad of CAIR second from the right, in a mosque/cultural center? I'm not sure if I am overly cynical, but why do I not get the impression that bush is mourning the loss of 3000 people in New York -- if the time frame is correct?? Fritz Kuhn's Bund and William Pelley's Silver Shirts were quite bold in their pro-Nazi and antisemitic activities. The Bund held a famous rally right in the middle of New York City, in Madison Square Garden, as late as 1940. But after December 7, 1941 the Bund was disbanded, its members harried, some arrested, and all lapsed into silence. And so did the members of the other groups tracked by John Roy Carlson in "Under Cover." The equivalent of December 7, 1941 in this war-wihtout-end that began earlier, but was not marked by one spectacular attack, the Jihad that had fallen over the past two centuries into desuetude only because of Muslim weakness, and was revived when three things occured to make Muslims believe that they could now go for broke, and achieve superiority over their permanent, because non-Muslim, enemies. 3) the exploitation by Muslims of Western advances in technology, such as audiocassettes (so useful to Khomeini in 1978-79, videocassettes, satellite television (Al-Jazeera, Al-Manar, and others), and the Internet, on which all those Muslim websites preach the faith, inveigle the Spiritual Searchers, and offer videos of decapitation of Infidels that apparently are such a useful recruiting tool for the cause of Jihad. During the Cold War those who were regarded as agents of the Soviet Union were tracked. Some were arrested. Some lost their jobs. Some were punished for membership in the Communist Party, by the government or, informally, by fellow citizens unwilling to tolerate such an allegiance. Why does CAIR behave so boldly as to attempt to thwart, completely without fear, and at every step, the most modest measures of self-defense? Why does it think it can get away with the kinds of things it does? Because it can. And will until enough people, including those from quarters CAIR least expects, have learned enough to be implacable in their mistrust and their relentless hostility to CAIR and everything for which it stands, and in a thousand ways, that go beyond what trivial measures are taken by the government, make life as difficult as they can for CAIR and for all its supporters. Just as they would have, in 1941, for supporters of Fritz Kuhn's Bund. Fritz Kuhn's Bund and William Pelley's Silver Shirts were quite bold in their pro-Nazi and antisemitic activities. The Bund held a famous rally right in the middle of New York City, in Madison Square Garden, as late as 1940. But after December 7, 1941, the Bund was disbanded. Its members were harried, some were arrested, and all lapsed into silence. And so did the members of the other groups tracked by John Roy Carlson in Under Cover. There are three things that amount to the equivalent of December 7, 1941 in this war-without-end in which we are now engaged. This war began earlier, but was not marked by one spectacular attack. The Jihad had fallen over the past two centuries into desuetude only because of Muslim weakness, and has now been revived when three things occurred to make Muslims believe that they could now go for broke and achieve superiority over their permanent, because non-Muslim, enemies. 1) the past, present, and continuing OPEC oil revenues, which since 1973 have amounted to ten trillion dollars. 2) the tens of millions of Muslims permitted by heedless elites everywhere to enter and settle and make themselves at home in Infidel countries, all over the Bilad al-kufr, behind what they are taught to regard as enemy lines. 3) the exploitation by Muslims of Western advances in technology, such as audiocassettes (so useful to Khomeini in 1978-79), videocassettes, satellite television (Al-Jazeera, Al-Manar, and others), and the Internet, on which all those Muslim websites preach the faith, inveigle the Spiritual Searchers, and offer videos of decapitation of Infidels that apparently are such a useful recruiting tool for the cause of Jihad. During the Cold War, those who were regarded as agents of the Soviet Union were tracked. Some were arrested. Some lost their jobs. Some were punished for membership in the Communist Party, by the government or, informally, by fellow citizens unwilling to tolerate such an allegiance. Because it can. And it will, until enough people, including those from quarters CAIR least expects, have learned enough to be implacable in their mistrust and their relentless hostility to CAIR and everything for which it stands, and in a thousand fully lawful ways, that go beyond what trivial measures are taken by the government, begin to make life as difficult as they can for CAIR and for all its supporters. Just as they would have, in 1941, for supporters of Fritz Kuhn's Bund. One of the founders of CAIR and its former Board chairman, one Omar Ahmad, is a self-described "Palestinian." He has been quoted, famously, as saying that Islam is in the U.S. to become dominant, and the Qur’an the only law of the land. He now denies saying it, but the original reporter stands by her reportage. One wishes to add that Omar Ahmad, in addition to his tireless work on behalf of Islam and its promotion until it assumes what he regards as its rightful place in America and the world, meanwhile makes his living as CEO of a company called Silicon Expert Technologies. That company can be searched for online; among the companies that have a "partnership" with "Silicon Expert Technologies" is Azerity. One would like to think that computer engineers, and computer executives at other companies, in choosing whether or not to "partner" or have other dealings with Omar Ahmad, would first fully inform themselves of what CAIR does, and what Omar Ahmad does and says and thinks. They could perhaps factor that information into their mental equation, and even, one would like to think, into their business decisions. One would hope, as well, that those alive in 1938 would not have bought Voigtlander cameras, or in 1953 bought Baltic amber from official Soviet outlets, such as Vneshtorg, which would use that valyuta or hard currency for purposes inimical to the health of liberal democracies. Everyone is free to consider the wellbeing and safety of our own Infidel ways and institutions and their continued existence, in making decisions as to what partners one wishes to have, and what companies one wishes to hire to provide goods and services. And others, in turn, can make their commercial decisions as to whether or not to have dealings with that second company as well. Perhaps Infidels, in their own small way, can have an effect on the businesses which those who run CAIR, or contribute to CAIR, or support CAIR in any way, may rely on for their livelihood. Sauce for the goose, sauce for that famous gander. Why has the American government not read Saudi Arabia the riot act? Why haven't the hate-filled pamphlets collected at mosques around the country that were built and are now maintained by Saudi money brought together by Rice or Bush and put out on a table at the White House? And then the Arab ambassadors could all be invited over to see this "Special Exhibit," an exhibit to which representatives of all the major networks and the major newspapers here and abroad will be invited and urged to cover? And then why does Bush or someone else not have a little private meeting with the enraged Saudi Ambassador, to tell him that there is much more in that sort of "Special Exhibit" -- which could of course tour the country -- if he doesn't stop funding the mosques and madrasas in this country, and stop allowing Saudi money to pay for Muslim missionaries in the prisons, to prey on the psychically as well as economically marginal. If the American government had a mind to do it, it could bring the Saudi government around in no time. But it doesn't, because so many former government officials and those who listen to them are directly or indirectly on the Saudi or other Muslim dole. Who pays Eugene Bird, and pays for the ads of the "Council for the National Interest" that is virtually identical in its views to the Saudi government? Who pays for "consultancy" by Raymond Close, or James Akins? Who pays for that magazine about the Middle East, full of Arab propaganda, that another ex-diplomat, Andrew Kilgore, runs? Who pays or has paid fees to Brent Scowcroft? To George McGovern? What Presidential libraries have been battening on Saudi and other Arab money? Who has received those million-dollar lecture fees in Kuwait, or from that Arab-funded lectureship at the Fletcher School (hint: Bush, Clinton)? Who has been getting what? Ask yourself why since 1973 there has been not a move toward decreasing, through the simple device of taxes, demand for oil and gasoline? Why for thirty years did American energy policy consist of trusting "our staunch ally Saudi Arabia" to keep prices low, when it never happened, and never could have happened? Why was no one aware until the last year or two of what, inevitably, OPEC oil revenues would fund? Why was Prince Bandar the only foreigner allowed in on the plans for invading Iraq? Why today do we worry about what the Sunni Arabs want, and believe that we have a duty to remain in Iraq to protect those Sunnis (i.e., keep the "catastrophe of civil war" from happening)? And that is just the beginning of the list of questions that need to be asked. Meanwhile, as long as the Saudi "royal" family (self-anointed monarchs since they defeated the Jabal Shammar in 1920, or soon thereafter) exists, and appropriates most of the nation's wealth, there will be those who will as Muslims find their resentment and outraged channeled into Islam as the total explanation of everything. And terrorism will continue in Saudi Arabia until the end of time. Let it. The only business the Infidel world should have with Saudi Arabia is to attempt to have as little business with Saudi Arabia. For the moment great sums of money flow in, and they will continue to flow in. But this does not mean that every effort cannot be made to diminish that flow of money (instead of aiming at a ludicrously irrelevant "energy independence" for the United States, which is both unachievable and would have no effect on Saudi Arabia or other Muslim oil states, for oil not sold to America will simply be sold to others, unless collective demand goes down). Saudi Arabia needs to be "ridimensionato" -- that is to say, cut down to size. "Money can buy everything - except civilization." It is a barbarous place; its government is barbarous, its economy barbarous, the mental state of its inhabitants barbarous. A very few, who have spent a long time in the West, can appear to have acquired the habits of thought of Western man. And a very few of those may actually manage to do so. But no one should be fooled by the oleaginous new ambassador, Al-Jubeir. "This world is an unsafe place for Americans--and the U.S. government remains unready to defend its people." "how our government must be changed if we are to fight the war on terror to victory--not just stalemate"
WASHINGTON -- Governor Mitt Romney raised the prospect of wiretapping mosques and conducting surveillance of foreign students in Massachusetts, as he issued a broad call yesterday for the federal government to devote far more money and attention to domestic intelligence gathering. In remarks that caused alarm among civil libertarians and advocates for immigrants rights, Romney said in a speech to the Heritage Foundation that the United States needs to radically rethink how it guards itself against terrorism. But that activity is deeply troubling to civil rights groups. Ali Noorani, executive director of the Massachusetts Immigrants and Refugee Advocacy Coalition, called the methods Romney suggested misguided and ineffective. Tracking people based on their ethnicity, he said, will only sow resentment among immigrant communities and prevent their cooperation with authorities. ''Blanket eavesdropping and blanket profiling only erodes the safety and security of our country," Noorani said. ''People who really know what national security is and what intelligence is realize that we need to build trust between law enforcement and immigrant communities." Monitoring radical mosques is exactly what we should be doing. The loss of trust in the Muslims has forced the Westerners to adopt, in their own countries, such measures as they feel are necessary to preempt their wrath. This they have begun doing after realizing that an agitated Muslim can become more ferocious than a hungry hyena of Serengeti. Do you want to lose your life and the life of your children and grandchildren to the swords of Islam? If you don't, then please act now and face the Muslims with a firm determination. And also be aware of those who are coming to your country on one pretext or another. In these two actions, lies the safety of your life and of your future.
. . . it seems beyond dispute that Grover Norquist has formed alliances with prominent Islamic radicals who have ties to the Saudis and to Libya and to Palestine Islamic Jihad, and who are now under indictment by U.S. authorities. Equally troubling is that the arrests of these individuals and their exposure as agents of terrorism have not resulted in noticeable second thoughts on Grover’s part or any meaningful effort to dissociate himself from his unsavory friends.
. . . let’s connect the dots between long-time buddies Norquist and Rove . . .
Rove's Muslim project began in early 1997 during a meeting with the energetic Republican insider Grover Norquist. To a significant degree, George W. Bush owes his election to Norquist, whose early support was crucial in lining up the right behind the Texas governor's campaign. And if Bush, born in the Ivy League haunts of the Eastern Establishment but raised in the conservative oilfields of West Texas, has managed to forge a governing coalition that includes both Big Business and the far right, Norquist's skillful ability to hold that coalition together is a big reason why.
. . . according to Jake Tapper in Salon, President Bush was scheduled to meet with Muslim and Arab leaders at 3 p.m. on Sept. 11, 2001--to update them on the progress the Administration had made in eliminating Clinton Administration anti-terrorism policies that had a disparate impact on Muslims! Indeed, Florida college professor Sami Al-Arian claims, “At 3:30 [on 9-11] the president would have announced the end of secret evidence.”[Sept. 11 hurt aliens’ rights, By Grace Agostin, University of South Florida Oracle, September 09, 2002] Al-Arian, whose brother-in-law Mazen al-Najjar had been locked up based on evidence supplied by a government informant inside a terrorist gang, campaigned for Bush in 2000 and had his picture taken with the candidate. Grover Norquist’s activities in behalf of the Islamist Fifth Column. The association between Grover Norquist[Carl Rove's associate] and Islamists appears to have started about five years ago, in 1998, when he became the founding chairman of an organization called the Islamic Free Market Institute, better known as the Islamic Institute. The New York Times revealed on October 23, 2001, that, in that capacity, Khan Sr. had hosted Ayman al-Zawahiri, reportedly Osama bin Laden’s right-hand-man in the al-Qaeda organization – not once, but twice in the 1990s. In the course of his trips, the terrorist chief reportedly not only raised funds for al-Qaeda’s operations at Khan’s mosque but also purchased satellite communications equipment while in the United States. The President had affably dubbed Abdullah [Sami al-Arian’s son] “Big Dude” after first meeting him and his family on the campaign trail in Florida in March 2000 [this is the leader that is the commander-inchief of our war against Islamic terrorists and their sympathizers?]. Norquist’s Islamic Institute was instrumental in establishing Islamist connections with the Bush administration. The Islamic Institute provided the White House with a list of Muslim invitees, with the name, date of birth and Social Security number of each. As the founder of the Islamic Institute, Grover Norquist tops the list.
. . . over the years, and particularly as the Bush Administration’s Muslim outreach effort ramped up in the aftermath of 9/11, Grover Norquist was able to gain extraordinarily high-level access for a number of troubling individuals and groups. An undated White House memo, evidently prepared by Suhail Khan in early 2001 and intended to coordinate Muslim and Arab-American public liaison events, shows that Norquist’s Islamic Institute was instrumental in establishing Islamist connections with the Bush administration. The Islamic Institute provided the White House with a list of Muslim invitees, with the name, date of birth and Social Security number of each. As the founder of the Islamic Institute, Grover Norquist tops the list. GROVER NORQUIST'S STRANGE ALLIANCE WITH RADICAL ISLAM. The terror trail, according to many, even leads through the White House, which in the name of supporting Arab-American civil rights has been cultivating ties with groups, including those with Al-Arian's membership, that have supported Hamas and Hezbollah, as well as Islamic Jihad. Islamic Jihad is responsible for more than 100 deaths, including New Jersey's Alisa Flatow, and hundreds of injured Israelis. Why hide in an Afghan cave when you can be tenured in Florida? The indictments say Islamic Jihad brought terrorists into the United States under the guise of academic conferences and meetings. Steve Emerson, writing in The New York Post (Feb. 21), said Al-Arian was Islamic Jihad's "CEO." And Emerson told the Miami Herald (Feb. 24) that Al-Arian, 45, a Palestinian with Kuwaiti citizenship, found cover under the traditional American protections for academia, charities and religion, "the trifecta of Western vulnerability." Stumbled across this, as I was lurchin aound, trying to get my bearings, looking at what is happening in disbelief. 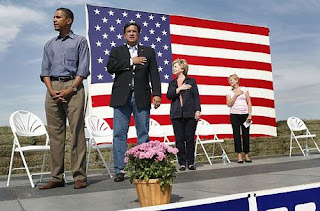 Our president, the beloved symbol of the United States paving the way for moreIslamics? Could it be? The world upside down? Oh yeah, it's happening, folks. They got us buffaloed. At the very top, they're in. Jan. 19, 2006 update: Of possibly related interest: President Bush two days ago announced his intent to nominate David Norquist, Grover's younger brother, to a top position at the Department of Homeland Security. Here is the White House announcement. The President intends to nominate David L. Norquist, of Virginia, to be Chief Financial Officer at the Department of Homeland Security. Mr. Norquist currently serves as Deputy Under Secretary of Defense (Budget and Appropriations Affairs). Prior to this, he served as Acting Principal Deputy Under Secretary of Defense (Comptroller), as well as Deputy Under Secretary of Defense (Financial Management). Earlier in his career, Mr. Norquist served on the professional staff of the House Appropriations Committee. Mr. Norquist received his bachelor's degree and master's degree from the University of Michigan. He went on to receive a second master's degree from Georgetown University. As a UPI report on this news observes, "The elder Norquist has been a trenchant critic of some of the department's policies, such as its "No-Fly" list, which he sees as an infringement on personal privacy and liberty." June 12, 2006 update: The Senate confirmed David Norquist as CFO of DHS.
" . . . a fear of being seen as anti-Islamic has compromised our intelligence gathering, our security, our politics, and our ability to speak the plain truth . . . "
Why can't the Government Stop Islam? Because they let too many Moslems in here. And they're still letting them come in. The Saudi-State-Department-connection visa express is still going on. the Moslems in here will keep relatively quiet, except for the increasing CAIR-spearheaded complaints, demands and lawsuits. They will be quietly reproducing. You know how many wives a Msolem is allowed? it's not just one . . . . Then, when they reach a critical mass--watch out! No more Mr. nice Moslem! But let's just take the FBI. Remember how after 9/11 we hired Arab and Muslim translators to clear the huge backlog of Al-Qaida chatter? FP: Yeah, the same backlog where clues to the next planned attack may be buried. Sperry: Right. Well some of them have sold us out. Case agents I talked to say they can't trust these guys. They say some have tipped off targets of terror investigations, while others are holding back key information from case agents they're working with -- who are completely at their mercy because they don't speak Arabic and these other tongues. The Muslim translators are claiming the information is "NOT PERTINENT" to their investigations when in fact it is. They've also had a problem with laptops with classified al-Qaida information disappearing from that translation unit at FBI's Washington field office. It's a mess there, a veritable Muslim "mole house," as one bureau source put it. Some devout Muslims in the unit have gotten so cocky they're actually demanding separate potties from the "infidel" agents so they won't get dirty sitting on the same toilets. Others go around the language squad saying America had 9/11 coming to it because of our pro-Israel policies. It's outrageous, it's flat-out betrayal, and these are the people who are supposed to be protecting us from another 9/11. FP: What's headquarters doing about it? Sperry: Putting the infidel agents through Muslim sensitivity training while promoting the Muslims who threaten to sue for discrimination. Go figure. FP: So this is also a story, basically then, of the Left’s agenda running amok in DC right? Sperry: And how. You'd think PC would have died out with the last flames at Ground Zero, but it's still alive and well here in Washington. I cite a number of examples of how various security agencies are committing politically correct suicide in the section of the book called IN ALLAH WE TRUST, but the FBI is the most egregious example. Director Bob Mueller is so politically correct he's cut a deal with Muslim pressure groups to never use "Islamic" and "terrorism" in the same sentence. Muslim leaders don't want the link made for obvious reasons, and he's gone along with their whitewashing. But Mueller's own agents feel demoralized by his pandering. They wonder how they can defeat Islamic terrorists when their own boss can't even talk honestly about what's motivating them. FP: Why isn't the White House cracking down on Mueller? Sperry: Because the president has made the same pledge to never describe terrorism as Islamic -- you'll never hear him say "Islamic terrorism" either. Mueller's just taking his cue from the Oval Office. The tone is set from the top. The president never fails to remind us Islam is a "religion of peace" and one that we have to "respect." He even suggested at the last inaugural that the Qur’an is somehow part of our American heritage and culture. FP: Tell us what conclusions you have reached from your study of Islam. Sperry: It is a religion of peace -- for Muslims. Everyone else is marked for punishment, as I explain in the chapter "Top 10 Myths of Islam," which your readers should read if they read no other chapter in Infiltration. 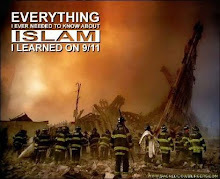 where there is lots more info on how Moslems have crippled our government from effectively halting the Islamic agenda. The trouble we have is that we have committed ourselves, by ethics as well as custom, to be civilised as well as legal in our fight with Islam. Muslims on the other hand, do not constrain themselves so. There is no reciprocity in Islam, as Pope Benedict stated in his recent speech, whether it is spreading the message of Jesus in Muslim nations, religious freedom for non-Muslims, or in the conduct of war. But they expect all this from Infidel world as their right. Muslims gaily slaughter the conquered but expect mercy as their right when on the receiving end. They celebrate 9/11 with glee but howl with anguish when retaliation comes. The principle of reciprocity - which means that the same rules apply to everyone, breaks down in dealings with Muslims. We may behave in a civilised and legal manner but it idle, nay delusional, to expect the same from Islam. The banning of Islam poses great problems - it cannot be done in any recognisably legal manner. And even if we could, all the Muslim population has to do, is to mark time till they are a majority. In Bosnia it took a couple of centuries but the inevitable did happen. So here is lovely story - almost a fantastic story in conception when it was written - "The Flying Inn" by G K Chesterton, a tale of the Islamisation of England. Written some 80 years ago. Download *.rtf file to view in Word format. And this "giving England away . . . in small steps . . ."
What struck me is that it was political elite in England that were giving the country away to Islam. They did so with stealth and guile, and in small and gentle steps, and with the best intentions, so that the population never really understood the magnitude or the significance of each tiny step. If you thought that Cindy Sheehan was a harmless pink "peace" nut . . . who was just against war--any war--and not a Leftist friend of the Islamic enemies of the United States . . . You got another guess coming . . . Using her dead son--a U.S. soldier fallen in Iraq--as a "by-now-much-worn-out" shield, she stands in solidarity with Muslim Brotherhood women and children whose Moslem Brotherhood jihadist men have been jailed by the Egyptian government. CAIRO, Egypt - Anti-war activist Cindy Sheehan joined a protest Wednesday seeking the support of Egypt's first lady in ending a military trial of members of the country's largest Islamic organization. Under the watchful eyes of dozens of black-clad and helmeted anti-riot police, some 50 heavily veiled wives and children of 40 senior members of the Muslim Brotherhood detained for the past year, gathered in front of the headquarters of first lady Suzanne Mubarak's National Council Women carrying banners calling for their release. "I am here to protest the trial of civilians in front of a military tribunal as this is a violation to international law," said Sheehan, who gained fame in the U.S. for her sit-in outside President Bush's Texas ranch following the death of her son in Iraq. In December 2006, the government engaged in a wide-ranging crackdown against the Brotherhood, the country's largest opposition force — which holds one-fifth of the seats in the parliament — targeting in particular businessmen known to financially support the group. In February 2007, President Hosni Mubarak ordered 40 of the organization's members to be tried by a military tribunal on charges of money laundering and terrorism. The court's verdict is expected Feb. 26. According to the Brotherhood, 3,245 members of their organization were arrested in 2007. No, Jihadwatch does not "make Islam the problem." Islam itself -- what is in the Qur'an, the Hadith, the Sira -- is what makes Islam the problem. That, and the tenets that naturally arise from those texts, and that, over 1350 years, in many different lands, with many different sets of non-Muslims, have been acted on, by Muslim conquerors determined to kill, or convert, or permanently reduce to that subjugated status of "dhimmi" all those conquered non-Muslims. If we ignore history, and ignore the texts of Islam, then we can all play the game of "Let's Pretend." But playing the game of "Let's Pretend" is what has gotten the countries of Western Europe in the fix they are in. Playing "Let's Pretend" simply allows non-Muslims to continue to ignore reality, continue to turn their heads away, as people in the last century, and more than once, turned their heads away until the reality could not be denied. In the case of Islam there will not be an invasion of Poland or a Pearl Harbor attack or a seizing of Manchuria, but rather a slow and steady conquest. That is why it is important to alert, using nothing more amazing than the most banal and obvious of truths about Islam -- truths that no non-Muslim growing up under Muslim rule, and no apostate from Islam can fail to be aware of. See Wafa Sultan, see Ayaan Hirsi Ali, see Ibn Warraq, see hundreds of others, with their numbers swelling in the Western world all the time. See those great Western scholars of Islam -- Schacht, Jeffery, Snouck Hurgronje, Lammens and so many others -- who studied and wrote about Islam before the Great Inhibition set it. That is, they studied and wrote before Muslims, and their non-Muslim sympathizers, managed to insinuate themselves into academic positions where they have been quite good at keeping out any other viewpoints, and have steadily managed to hire and promote each other, aided of course by grants from Arab governments and institutions and individuals, until they have managed, all over the Western world, to control so much of what is taught about Islam and "Islamic studies" and "Middle Eastern studies." But a few holdouts never were booted out, and nowadays, many in the West, alert to the danger, have simply chosen to go around, to do without, to ignore, the sly apologists of the Middle East Studies Association (MESA Nostra), and that has had a salutary effect. The American government should simply set up institutes to teach Americans about Islam and the Middle East, going carefully around the universities -- or perhaps carefully vetting every department that would wish to get in on the money. It may not be possible to re-create an atmosphere in American universities, or in other universities of the Western world, in which disinterested study, rather than transparent apologetics, is offered to innocent students. Certainly the number of schools where such study is possible has diminished over the past 30 years. Georgetown’s lean, mean, jogging John Esposito is the rule, not the exception. But one should at least try. University administrators now have a duty to inform themselves fully, and not permit the fellow-travellers of MESA Nostra already ensconced in their institutions to manage to smuggle in one more of their number. Eventually even to belong to MESA Nostra will be seen as somewhat comical and suspect. It must terrify the members of MESA Nostra that, out of nowhere, so many well-informed people -- because a doctorate nowadays in Middle Eastern studies guarantees absolutely nothing, nor does a tenured post -- are simply bypassing them and informing themselves about Islam on their own. But what can you do when all the canonical texts of Islam, all the Muslim commentators, and all the evidence from history as carefully accumulated by hundreds of careful scholars, are against you? How the hell is someone like Rashid Khalidi or Laurie Brand or Joel Beinin going to impugn Joseph Schacht, or David Margoliouth, or Snouck Hurgronje, or Vajda, or Abel, or Charles-Emmanuel Dufourcq, when they refuse to stay buried, but are being triumphantly revived, read, studied, and found not wanting, but thoroughly relevant to explaining the evidence of the Jihad and dhimmitude that are everywhere around us? MESA Nostra and its European equivalents, and all the attempts to thuggishly silence truthful discussion about Islam, from Said's Orientalism to the latest lawsuit by CAIR or latest phony "Dialogue of Civilisations" or conference on "The Need for the 'Other' in Western Civilization: The Case of Islam" and so on and so obviously forth, are now coming to naught. The evidence from 1350 years, and from today's newspaper, is just too great. And you cannot hide the Qur'an, the hadith, and the sira forever from the Infidels. Some of them actually know how to read. Its not that simple, just telling them they're wrong. Unfortionatly we have to first unify most of our citizenry, then team up with mainstream reformist networks globally and only then will the nilistic networks small as they are be rolled back and extinguished with no territory or institutions to keep their movement alive. But such coalition building won't happen unless we build on shared vaules with a committment to a prosperous future for all groups. Every national security policy expert worth his salt has been saying for years that America can't win solo but has to partner with moderate (not dhemmi muslims) forces amongst Muslims. Even folks behind the learning curve like Daniel Pipes and Frank Gaffney have recently made public comments about how when we make the enemy Islam, its simple America loses. I'm not a political activist, I'm a policy guy and excuse the directness but when folks in Jihadwatch's world make Islam the problem they are indirectly helping the violent extremists out there. I didn't call them terrorists because I don't want a reporter to write that I said Robert is a terrorist enabler. I can't read folk's heart, so I'm giving Robert and others here some benefit of the doubt. I fully understand the strategy folks here are following and I don't see it working long term and in the short term it just grants the violent extremists more ammunition in the propoganda war. I say wake up and smell the roses, Islam isn't going anywhere and will continue its expansion just like Christianity is in certain quarters. We as Americans should be debating the strategy of how best to win as Jews, Christians and Muslims in an ever more interdependant and inter-connected world. Instead we have millions of our fellow citizens chasing their tails living in a make believe world fighting a demographic war lost ions ago. You say it's not Islam. Other Muslims say it is. Who are we to believe? You are not out there, telling them that they have it all wrong. Instead you are here, on this web site, telling us that our eyes and ears deceive us. In fact, that tells us all we need to know. Now Roberto, you now better then to promote a covert political movement as a theological source or any authority. You're making militants the spokespeople of Islam again, and presenting Islam (ex. Quran) as the problem when you know very well that if we are to get anywhere it'll be because Islam is the solution. Plus you know that verse 16:106 doesn't refer to anything Israel or Abbass are doing, ever did or will ever do to meet the requirement to say something against Islam in a life or death situation as the verses states. Please treat Islam fairly and accurately, otherwise a real conversation can't begin. An Ad-Hominem/Polemic attack on Islam simply returns one against you as an Islamophobe. Tennis is good exercise, but our nation deserves better on this subject. If Islam is to be the solution, it will only be when Muslims begin to confront interpretations like this -- which come from other Muslims, instead of blaming me for reporting about them. The people in Hamas who say this are Muslims. Whether or not they are spokesmen for anything, you are doing nothing to refute their Qur'anic intepretation by acting as if it's something I made up. I'm sure many Palestinians would differ with you on this. Can you provide any actual evidence that I've said anything inaccurate here? So far, you haven't. Can a real conversation begin when you make unsubstantiated accusations and blame the messenger instead of acknowledging that there is a problem and working to resolve it? I know Robert says that Islam is the only religion with a developed doctrine, theology and schools of jurisprudence that mandate violence against unbelievers. Normally I resist complying with requests, just on principle (born rebel, never take orders), but here's a go: "Islam is a collectivist faith and Total Belief-System that inculcates in its followers that the world is divided between Infidels and Unbelievers, and that a state of permanent war, if not open warfare, must exist between the two, until all barriers to the spread, and dominance, of Islam are removed." That's one sentence. It's true that I made it longer than one -- than you -- may have expected or desired. But of course you knew I'd push things. Hugh, the Islam you describe no sane person would recognize. But then what do I know, just another Muslim who obviously must be a lier.